CATBALOGAN, Samar – Some 740 families in Sto Niño, Catbalogan are slowly washing off the mud that soiled their clothings, furniture, appliances and even wrecked their motorcycles and pedicabs. Soiled clothings and belongings placed outside was the common sight in sitio Sto Niño as affected households do cleaning of muds and debris brought by flashfloods inside their houses. The floodwaters had reached to a depth of 10 feet. On Wednesday, as PIA with some media allies surveyed Purok 2, Sto Niño, everything is maddening with mud. Lola Luisa Cabuello, 74 said she had to swim to safety as the raging waters slowly barged into the two-storey house of her daughter. Cabuello said she has just gone shopping for P5,000 to replenish goods in her mini store only to notice that her stock after the storm is now soled with mud. 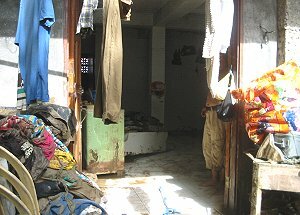 One crying woman, admitted that the laundry she carefully washed and ironed due for delivery the following day were all soaking with mud. She is worried that her boss, a physician in town will ask her to pay for the damaged laundry. Her mother an elderly woman in her 60’s was also mourning for her lost hog. The flashflood was swift but deadly, rampaging through things that come its way, carrying timber, appliances, pieces of furniture and even motorcycles, sometimes barging into small houses and incurring severe damages. Mr. and Mrs. Petronilo Garte with three kids in tow had to run to a sturdier house in their neighborhood as the raging waters battered their wooden house with tons of debris and mud damaging all the properties they have saved for the last eight years. PIA spotted dead turkeys, chicken and even litter awaiting disposal by their grieving masters. Estrella Anano, another grandmother instructed her son to tie the kids together with them so they won’t be washed away by the floods. Jun Granados, a technician at DYMS picked up the soiled books and clothings, the latter he and wife washed in the now tamed Antiao River some 10 meters from their two-storey home while a survivor chicken, was still hovering around with wings thick with mud. His son whispered the bird was to be ‘chicken for dinner’. It will be a while before the barangay folks of sitio Sto Niño, Brgy. San Andres, Catbalogan will forget the dreadful mudfloods, but Lola Luisa said should another flashflood comes along, she will lock her store and flee to higher grounds not necessarily swimming anymore. BORONGAN, Eastern Samar – Governor Ben P. Evardone, PDCC Chairman, already ordered the Philippine National Police and Local Government Units (LGUs) to make intensive search and rescue operations of persons who went missing due typhoon “Feria” that hit the province on Tuesday. He stressed that the earlier the search is made, the chance of finding them alive is higher. The Provincial Disaster Coordinating Council of this province reported two more missing fishermen from the municipality of Balangkayan today placing the number of missing persons to 10. According to Municipal Mayor Arnold Gesite, the two fishermen, Manuel Gesite and Jeffrey Contado, both residents of Poblacion, Balangkayan, went fishing on a motorboat last Monday, June 22 even if weather authorities already cautioned fisherfolks not to go on with their livelihood as it was already dangerous due to the looming typhoon. Wilma Contado, wife of Jeffrey, said that she was hesitant in letting his husband go as strong winds have started already that afternoon before they left. “We were, however, left without option but to let him go because we only rely on his catch for the needs of our six children,” the wife said in vernacular. Joel Cacilos of Barangay B of Borongan town also went missing since he left for sea last June 21. In Guiuan, 7 fishermen, including 3 motoboats, this town, are still nowhere to be found since Monday also. Those who are still missing are Angelo Angelio, Manuel Badenas, Dionesio Badenas, Serafin Ramboy, Londoy Lacaba and Ernesto Bagares, all residents of Brgy. Casuguran, Homonhon Island. A certain Demy Lariestan, also a fisherman from Brgy. Cagusuan, Homonhon Island, went missing also. On the other hand, the PPDO also reported that 4 fisherfolks had been rescued in Brgy. Culasi, Guiuan. Those found were Norberto Dasig and Jovito Larina from Silago, Leyte and Ben Tayum and Buboy Paha from Brgy. Kikilo, Abuyog, Leyte. The governor also reiterated that the fishermen should heed the warnings given by weather authorities through radio announcements. It is observed that there are always reported missing persons every time a tropical depression hits the province. Govenor Evardone also said he already coordinated with nearby provinces where the missing fishermen could possibly have been blown. Meanwhile, Atty. Byron Suyot, Governor’s Office Chief-of-Staff, said that the PPDO is continually assessing the damages done in Can-avid town as a result of a tornado brought across with the typhoon. Approximately 500 houses had been partially damaged according to a PDCC report released at 12 noon yesterday. Buildings and other physical structures of the elementary school, high school and the Eastern Samar State University – Can-avid, had been damaged as well. 4 persons had been reported injured including a tricycle driver who was hit by fallen tree during the wake of the typhoon while he was on the road. His vehicle has also been severely damaged. A bus from Arteche town bound for Manila has also been reported to have met an accident in Paranas, Samar. Apparently, Atty Suyot said, the driver could not see the road anymore due to heave rains and strong winds resulting in the accident. 1 passenger was killed and 30 more were injured because of the incident. Governor Evardone immediately asked the Provincial Social Welfare and Development Office to make the necessary steps in providing relief packages to towns that had been severely hit by the storm. He also ordered the Provincial Health Office to dispatch personnel to barangays where there had been reported physical injuries. NAVAL, Biliran – Some 35 affected familes composed of 175 persons living in the coastal barangay of Sto. Niño in the municipality of Naval were evacuated early Tuesday afternoon to a safer ground due to Typhoon Feria by the Biliran Provincial Disaster Coordinating Council (PDCC) led by its council Chairman, Governor Rogelio Espina. This was revealed by Ms. Flordeliza Trani, Provincial Social Welfare and Development Officer (PSWDO) to the Philippine Information Agency (PIA) Biliran Provincial Information Center in a mobile phone interview Tuesday night. Ms. Trani informed that the combined floodwaters and the rising sea water caused by big waves has prompted the PDCC together with the barangay officials to evacuate the affected families to the Sto. Niño Elementary School, the designated evacuation center in the area as level of water continued to rise knee-deep. Relief activities were conducted by the PDCC jointly with the Provincial Social Welfare and Development Office (PSWDO). She added that no less than Governor Rogelio Espina, led in the distribution of initial relief goods and assistance to the typhoon victims in Brgy. Sto Niño consisting of five cans corned beef and five kilos rice. Furthernore, she said that Governor Espina made rounds in Brgy. Santo Niño to see for himself the status of the barangay residents at the height of typhoon Feria that placed the entire Biliran province under signal no. 2 Tuesday night. Ms. Trani revealed that aside from the five cans corned beef and the five kilos rice that were personally handed by the Governor to the typhoon victims, cooked rice was likewise given for immediate relief to the hungry stomachs of the affected persons. A sack of rice, she said was left with the captain of Brgy. Sto. Niño for additional need of some cooked rice for the victims. Meanwhile, some six families composed of 35 persons living along the coastal barangay of Lo-ok in Almeria town in the province were evacuated to a higher location at the Lo-ok Elementary School, Ms. Trani informed. Seawaters in this barangay rose to an alarming level due to the big waves brought about by Typhoon Feria. In response to the situation, immediate relief activities were conducted by the Municipal Social Welfare and Development Office (MSWDO) of the said municipality to help the typhoon victims. As of reporting time, Ms. Trani indicated that a team was dispatched by the provincial government of Biliran through Gov. Espina to go around the province to make an assessment of the typhoon damage particularly on agriculture, infrastructure and other areas. 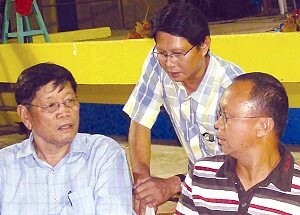 BORONGAN, Eastern Samar – Governor Ben P. Evardone with Engr. Alexis Abellar, officer-in-charge of Department of Labor and Employment (DOLE) Provincial Office, turned-over a financial assistance to a group of differently-abled persons at the conference room of the governor, provincial capitol, this province. Eastern Samar Gov. Ben P. Evardone is assisted by DILG Prov’l Officer Alexie Abellar in turning over the certificate of donation amounting to P164,400 to Association of Persons with Disabilities of Borongan President Edmund Balan and its members. The Association of Persons with Disabilities of Borongan (PWD) received P164,400 in aid for the establishment of a mini-canteen snack bar, the association’s primary project. Edmund Balan, president of the PWD, personally accepted the assistance from the governor which is a part of the DOLE Integrated Livelihood Program (DILP). Balan, a polio victim and has since used crutches in walking, said that the amount will greatly improve the living condition of the PWDs particularly here in Borongan. The association of PWDs in Borongan is composed of individuals with hearing, seeing and walking impairments. “Just because some parts of our body are disabled do not mean that we cannot do anything anymore,” Balan contend. The amount will be used to procure the equipment and materials for the food bar the association will establish. Governor Evardone said that the amount they are going to receive is actually very minimal considering that DOLE through the DILP is granting huge funds for projects being undertaken by differently-abled people. “I would like to encourage the association to come up with more projects for DILP funding,” Evardone said. The provincial chief emphasized that there are physically impaired persons who have been trained in various skills which could be translated into money-making activities. “Some have been trained as masseurs which are becoming fast income-earners in Metro Manila and in Cebu,” the governor said. Evardone added that he is willing to commit a space at the provincial capitol if only to provide more livelihood opportunities for the PWDs. In addition, the governor said that he will tap the expertise of Provincial Planner Henry Afable to assist in the development of program of works for the association to get further funding support from DILP. Abellar expressed appreciation meanwhile to the governor for being pro-active especially in pro-poor programs. “The good governor had been very instrumental in realization of this turn-over of assistance as he himself lobbied for this from the President as this is a part of the employment and livelihood program of President Gloria Macapagal-Arroyo,” he said referring to Comprehensive Livelihood and Emergency Employment Program (CLEEP). To recall with the governor also turned over some more than P200,000 to the towns of Oras and Maydolong under the CLEEP program. The amount will be used to pay the wages of workers who will be assigned with various workloads the local chief executive will determine. TACLOBAN CITY – There are already five confirmed A(H1N1) positive cases in Region 8 but there is really no reason to panic because the Department of Health is in control of the situation, Department of Health Region 8 Director Edgardo Gonzaga said. Director Gonzaga also disclosed that there are four cases under observation at the EVRMC. One of the first two confirmed H1N1 flu cases in Eastern Visayas is a third year student from the Philippine Science High School (PSHS). The other positive case is a seaman from Catbalogan who just arrived from Singapore. His three children were tested and his 8 year old son was confirmed to be positive too. The other two positive cases are from V&G Subdivision who are also schoolmates of the first patient. Earlier, the Department of Health in Region 8 has announced that there is no reason for the public to panic. The cases of A(H1N1) in the region are mild cases similar to the common flu. What is important is that if one develops the symptoms, this must be reported to the Health officials for proper disposition, medication and treatment, Director Gonzaga said. Director Gonzaga reiterated his call for the reorganization and reactivation of the barangay health emergency response teams in all the barangays of the Region in order to help prevent community-level outbreak. The BHERTs will help in the monitoring and reporting of cases, Director Gonzaga added. In fact, on Sunday, Director Gonzaga and his staff were at V&G subdivision to organize the BHERT of the barangays there. Meanwhile, Director Gonzaga said that the DOH in Region 8 has been monitoring closely 42 students of the PSHS in Eastern Visayas in Palo, Leyte, after they were found to have fever on Tuesday. Ten of the 42 placed under observation were classmates of the infected student. All the 42 students have been quarantined at the PSHS dormitory where they were tested, given medicine and were made to wear masks. 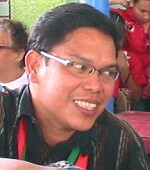 The result of the test is not known yet, Director Gonzaga said. The PSHS has suspended its classes for 10 days after the student tested positive for the virus. Meanwhile, all public and private schools in the Region are orienting their students on proper cough sanitation and proper way of washing their hands. Several public schools have required the children to bring soap, handtowels and alcohol. CATBALOGAN, Samar – The Department of Health through Dr. Antonio Tirazona urges all Samarnons to spread the health information and not the virus. The physician was reacting to the scores of Catbaloganons who have become panicky because of a confirmed case in Samar’s capital town. In an exclusive interview with Tirazona at his office last week, he reiterated that the virus is not as dangerous as dengue. Once again, the doctor reminds the public to observe coughing etiquette as the virus is transmitted through droplets from those already positive. DOH said that infected persons are referred as: Case Under Observation (CUO). Tirazona said that based on DOH guidelines, coughs and sneezes spread diseases and that respiratory etiquette is basic good health manners. Cough manners, based on the guidelines urges people to cover their nose and mouth with tissue or handkerchief every time they sneeze, cough or blow their noses. And if the person doesn’t have a tissue, they must cover their nose and mouth with hands or cough into their sleeve. Another very important reminder is proper hand washing lasting from 40-60 seconds with soap and water before touching eyes, nose or mouth and before shaking hands with other people. If water is not available, to use an alcohol-based hand sanitizer, they are told. The public is also cautioned against spitting on the floor, they must do so in a trash bin or on a small plastic bag. When using handkerchief, they must wash it separately from clothing. Patients who are sick are also advised to stay home, maintain a safe distance of one meter from other people when sick and never to share eating utensils, drinking glasses towels and other personal items. Meanwhile, Samar Provincial Hospital Chief Dr. Rodulf Mabulay said that the hospital has an action plan to react and to respond to the cases that will be brought to their attention. As of press time, City Health Officer Dr Senecia Yong who has also done contact tracing declared that the confirmed case is now on his way to recovery and assured the Catbaloganons that the CUO will not be a threat to public health anymore. TACLOBAN CITY – While some big enterprises are closing shop in some parts of the world, Region 8 recently welcomed the opening of Robinsons Place Tacloban, the newest store of the Robinsons Malls which is the second largest shopping mall and retail operator in the Philippines. So far the biggest shopping mall in the Region, Robinsons Place Tacloban is located within the city’s expaqnding commercial district at Marasbaras District, about one kilometer away from the airport and four kilometers away from Tacloban downtown area. Mr. Frederick D. Go, Robinsons Land president and chief operating officer, during the opening of the Mall on July 11, disclosed that next year a 100-room hotel will be built just beside the mall and within the company’s four-hectare property. The National Democratic Front-Eastern Visayas today dismissed Gen. Arthur Tabaquero as "showing off" to the puppet president Gloria Arroyo in asserting that the guerrila fronts in the region have been largely dismantled and that the revolutionary movement will be finished by 2010. "The 8th Infantry Division chief Gen. Tabaquero was merely trying to impress Arroyo in a regional media interview, especially because his troops are reeling from successive offensives by the New People's Army," said NDF-EV spokesperson Fr. Santiago Salas. "Not a single guerrilla front has been dismantled by the 8th ID in Eastern Visayas. If the NPA is on its last legs, how could it successfully wage almost a hundred battles in 2008? 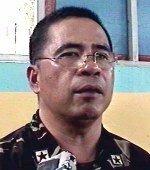 Let the continuing offensives of the NPA in 2009 speak the truth." The NDF-EV spokesperson elaborated that, "The last official report of the Efren Martires Command cited 93 military engagements by the NPA in 2008. These offensive and defensive military actions dealt over 90 casualties killed in action on the Arroyo government's side, and less than 10 killed in action on the NPA's side. The NPA was also able to seize various firearms and thousands of bullets. The NPA continues to step up offensives this 2009. For example, in the May 30 raid on the military detachment in Brgy. Polangi, Catarman, N. Samar, the NPA seized one M203 rifle, six M16 rifles, and one M14 rifle." Fr. Salas also said that Arroyo and her generals want to escalate war through their Oplan Bantay Laya campaign so that Arroyo could stay on in power. "The Arroyo regime clearly wants to remain in power beyond 2010 by manipulating charter change through a Constituent Assembly. But using the military is really Arroyo's last resort to impose the extension of her regime on the people. Thus escalating Oplan Bantay Laya is really meant to support Arroyo's bid, which means continuing political killings, suppressing the anti-Arroyo movement, and terrorizing the people with an all-out war." The NDF-EV spokesperson concluded that it is the Arroyo regime that should be ended in 2010. "The people are fed up with the corruption, brutality and puppetry of the Arroyo regime. Thus the NPA will pursue more offensives in sympathy with the people's movement to get rid of the despised regime. The powerful movement of the people against Arroyo and widespread offensives by the NPA will hound the Arroyo regime out of power." TACLOBAN CITY – The Leyte Pintados-Kasadyaan Festival of Festivals would continue to show force this year despite opposition of a similar festival being revived in the city. This was disclosed by PAGCOR Vice-Chairman Remedios “Matin” Petilla, who also chairs the Kasadyaan Festival Committee during a press conference held on opening night of the Kasadyaan Festival Park at the RTR Plaza. According to the former governor and Leyte representative, initially there are thirteen to fifteen contingents expected to join this year’s streetdancing and festival presentation while two famed festival in the country are expected to join as well as guest contingents. These two are Leyte’s very own Buyogan Festival of Abuyog, Leyte and Cebu’s Lumad Basakanon from the famous Sinulog Festival. Both festivals have been respectively declared champions in national festival competitions such as the Sinulog Festival in Cebu every January and the Aliwan Fiesta in Manila during summer. Mrs. Petilla said the Buyogan Festival has already been elevated to the Hall of Fame for successively winning three major festivals namely: the Pintados-Kasadyaan Festival 2008, Sinulog Festival 2009 and the Aliwan Fiesta 2009. “We would like to give chance to other contingents coming from other municipalities of the province and Buyogan have been winning the grand champion several times now in three different festivals. So, they will come this June as guest contingent,” Mrs. Petilla said. Lumad Basakanon, on the other hand, is a group from Brgy. Basak, San Nicolos, Cebu City. It was the grand champion in the Free Interpretation Category in the 2007 and 2008 Sinulog Festival but bowed to the Buyogan Festival in the same category this year. Lumad Basakanon was also the Grand Prize Winner in the Aliwan Fiesta in 2006, 2007 and 2008 but bowed to Tribu Kabatok in last year’s newly-revived Sangyaw Festival in Tacloban City. Meanwhile, Mrs. Petilla said the number of contingents who signified to join this year would want to show the people and all visitors that Leyte’s municipalities is cohesive and especially now that after 14 years, Leyte’s festival contingents are making names in the national festival arena such as Sinulog Fiesta in Cebu and the Aliwan Fiesta in Manila. On the other hand, Pintados Foundation Inc. President Eugene Tan the group is sticking with the Kasadyaan Festival of Leyte province saying the two has already become a tradition. “As long as there would be Kasadyaan, there would always be a Pintados,” Tan said to the local media. He likewise disclosed that as part of the preparation the Pintados-Kasadyaan Festival has already sought a permit from the city for the streetdance parade. “Since this is all for the benefit of the Taclobanons, we are hoping that they would grant us one,” Tan added. On the same note, Mrs. Petilla said, they would proceed with the Pintados Kasadyaan Streedancing on June 27, 2009 and the stage presentation at the Leyte Sports Development Center thereafter. “What is a festival without street dancing. It’s unheard of,” she said. Kasadyaan contingents would be vying for the half a million prize that would be given to the grand champion of this year’s Kasadyaan Festival. There would also be consolation prizes for runners-up and non-winning contingents. Prizes for the winners are being shouldered by the provincial government of Leyte. CATBALOGAN, Samar – The 8th Infantry Division (8th ID) Philippine Army based in Catbalogan, Samar commanding general MajGen. Arthur Tabaquero ordered an all out offensive against NPAs. 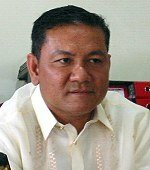 In a text message received by PIA-Samar, Col. Armand Rico, Information Officer said that just on Wednesday at 8:40 AM, June 17, 2009, a platoon of soldiers from the 20th Infantry Battalion led by 1Lt Julius Muyco encountered more or less 15 NPA rebels at the vicinity of Barangay Duran, Bobon, Northern Samar. The fire fight, Rico added lasted for 15 minutes which drove away the rebels east. In the afternoon of the same day, at about 2:15 PM, the same troops, while conducting pursuit operations encountered a bigger group, this time numbering to 50 rebels more or less five kilometres from the first encounter site. Another fire fight ensued for an hour that made the enemies of the state scamper to different directions. LtCol. Francis Cabugon, battalion commander of the 20th IB ordered additional troops as blocking force against the fleeing rebels. This resulted to the recovery of subversive documents of high intelligence value and personal belongings of the NPAs. Five government soldiers were slightly wounded while the army believes that the enemies suffered heavy casualties judging from the bloodstains on the encounter sites. The encounter led to the marching order of Tabaquero to all field commanders to declare an all out offensive against the NPAs in Northern Samar. Meanwhile, a high ranking official of the New People’s Army in Abra surrendered to the Cordillera Police Intelligence Group after a negotiation. 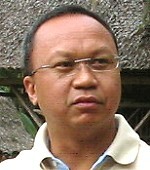 Cordillera Regional Director Chief Supt. Orlando Pestaño identified the NPA officer as Corpus Saboy alias Ka Lander who is one of the officers of Kilusang Laragan Guerilla North East operating in Malibcong, Tineg, Lagangilang and San Juan in province of Abra. According to Pestano, Saboy is in the 11th position in the order of battle of Armed Forces of the Philippines and the Philippine National Police. BALANGKAYAN, E. Samar – Eastern Samar Governor Ben P. Evardone assured the officers and members of the Balangkayan Central Elementary School Alumni Association (BESAA) of assistance on the latter’s covered walk project during the 3rd BESAA grand alumni homecoming recently. The provincial chief who was the guest of honor of the said event said that while he may not be able to come up with sufficient funds before his second term ends for the 800-meter covered walk which will stretch along the rice field that separates the town and the school, he will surely make sure that the project will be started. “Mamoy, kindly ask the municipal engineer, who is probably a graduate of (BCES) also, to immediately provide him the program of work,” the governor said to SBM Gesite during his speech. Mayor Arnold Gesite, also the incumbent president of BESAA, said that the project is a primary concern of the both the association and the school. “Governor’s assurance is really very timely because going to the school is always a daily struggle of almost 700 pupils as not all of them are capable of buying umbrella,” Gesite lamented. The councilor detailed that during rainy season, children oftentimes arrive in school or in their homes wet while during dry season, children become restless because of too much perspiration from the direct heat of the sun. “The daily exposure of the children to extreme weather makes them susceptible to illnesses as well, thus affecting their scholastic performance as well,” councilor Gesite continued. Macario Agojayan, BCES Principal-in-charge, also expressed thanks for the concern of the governor to the need of the school. “This only shows that Governor Evardone is really supportive of the education program in the province,” Agojayan said in an interview. Meanwhile, the governor led the oath-taking of the new members of the association who just graduated last March. The governor encouraged them to continue to strive hard as they pursue their dreams. Gilmar Gunda, a newly installed member, said that the life of the governor is truly an inspiration to students like them. Gunda will enter high school this coming June. Upon arrival, the governor received a warm welcome from the alumni. The senior citizens who are also BCES graduates, swarmed in group to greet Governor Evardone upon entering the covered plaza of the town. Along with Councilor Gesite who welcomed the provincial chief were Vice Mayor Nita Alde, SBM Leon Gunda and SBM Alice Abunales. All present municipal officials were also members of the alumni association. Apparently the governor was elated by the cheers and loud claps rendered to him by the alumni during his stay. Mary Ann Globio of batch 1990 said that the warm reception was really an obvious manifestation that Governor Evardone has been missed so much by Balangkayanons emphasizing that the alumni association basically represents the entire Balangkayan constituency. SBM Gesite reiterated that the governor has always and will continue to get support from the alumni association. “I hope the governor will frequently visit our town,” Gesite said. CATBALOGAN, Samar – Hinbangan, Samar a 4th class agricultural municipality some 37 kilometers south of Samar’s capital town is dreaming to be the food basket of Eastern Visayas. This was announced by Mayor Alejandro ’Alex’ Abarratigue during the town’s 61st founding anniversary. When Abarratigue delivered his state of the municipality address (SOMA), the first item on his list was that he introduced Hinabangan as an agricultural municipality where most people depend on farming and fishing as the source of living. He added that the type of soil in his town is suited to vegetables, root crops and fruit production. However, lately, a decline on the food production has been noticed. He pointed to lack of quality seeds, lack of fertilizers and the farmers’ adherence to traditional farming styles as reasons for the decline in agricultural production. Then he praised the Department of Agriculture headed by Leo Cañeda and An Waray Partylist Representative Florencio ‘Bembem’ Noel for providing high quality seeds, fertilizers and other farm inputs. 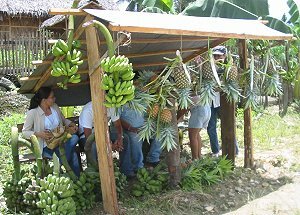 His municipal agriculturist (MAO), he added also conducted trainings in banana production and high value crops. The office also suggested putting up a demonstration farm for farmers to witness how to produce more. Activation of the Municipal and Fishery Council (MAF-C) also assisted the MAO in the delivery of agricultural services to Hinabangan farmers. He added that someday, with all these things his administration is doing for agriculture, his dream of making Hinabangan “Food basket of the region” will be realized. TACLOBAN CITY – “I am positive that the insurgency problem in Eastern Visayas will be crushed before the end of the term of President Gloria Macapagal-Arroyo,” Major General Arthur Tabaquero, commanding general of the 8th Infantry Division of the Philippine Army said. General Tabaquero made the statement during the Regional Media Interview with President Arroyo at Barangay Rebong, Las Navas, Northern Samar on June 16, 2009. “Of the eleven active guerilla fronts in Eastern Visayas, seven were already dismantled,” General Tabaquero disclosed. The good General said that only four active guerilla fronts remain active, two in Northern Samar and two in Western Samar. Three of these fronts will be dismantled before the end of 2009, the General said. This campaign against insurgency will become a reality especially if the people will continue to give their support and cooperation and work hand in hand with the military, with the government, General Tabaquero stressed. President Arroyo agreed with General Tabaquero and called on the people to help the government in its campaign to rid the country of the communist insurgency problem. “The fight to eradicate insurgency is every one’s fight. We all have a duty to perform and a challenge that must be met,” the President said. The President, while citing the remarkable progress attained by the Armed Forces of the Philippines (AFP) in the drive to dismantle the Communist Party of the Philippines/New People’s Army/National Democratic Front (CPP/NPA/NDF), admitted that more efforts are still needed to resolve the 40-year-old insurgency problem. “We have made a lot of success in our fight against insurgency. However, there are more that need to be done if we are going to remove this challenge which has plagued the government for many years,” the President told a regional media interview here. Military data as of May 2009 showed that the membership in the communist terrorist movement dropped significantly from 7,170 in 2006 to 4,874 in 2009. The same data disclosed that from 100 guerrilla fronts in 2006, only 75 remain active. It was also noted that the number of armaments in insurgent hands had been reduced nationwide: from 6,060 in 2006 to 5,143 in May 2009. Likewise, the number of affected barangays had been reduced from 2,121 in 2006 to 1,378 in May 2009, the President said. CATBALOGAN, Samar – Amid the AH1N1 scare that has caused panic in a Catholic school in Catbalogan, the Department of Health Samar representative Dr. Antonio Tirazona said that the people should also pay attention to dengue fever considered to be more deadly than AH1N1. On Wednesday, in the forum about dengue attended by school teachers, school nurses representatives from national government agencies and health personnel, Tirazona said that fatality in dengue fever is 5% to 10% while it is only .6% in AH1N1. Speakers could not help but compare the two as the discussion progressed. Leonido Olobia, the Regional Entomologist urged the teachers to become information multipliers especially to their students. The young are almost always the victims of dengue fever. Olobia also cited that Catbalogan contributed the second highest number of dengue cases in 2008 second to Tacloban City. He added that of the 939 cases in 2008; 11 children died. Olobia also mentioned that in 2007 there were some 164 dengue cases in Pambujan, Northern, Samar. Health authorities however cited that dengue cases in the region is on the decline. The good news though should not put our guard down, they stressed. The public is encouraged to practice four healthy habits to avoid dengue. One is to search and destroy all breeding sites (where there is water). Second is to practice self protection methods, third is to seek early consultation and fourth which they claim is important is to say no to indiscriminate fogging. The health officer discouraged barangay officials from the latter, he added that it is important to clean and clear the breeding places more than fogging. Fogging, he said does not necessarily wipe out dengue as proven in most cases in Samar last year. There were still cases recorded even with fogging. Fogging is advised only during outbreak, Olobia stressed. 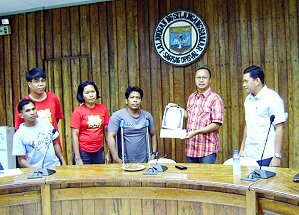 CATBALOGAN, Samar – The Department of Health (DOH) Regional Office 8 received praises and accolades from Hinabangan Mayor Alejandro Abarratigue during his first State of the Municipality Address (SOMA) on June 15, 2009. The event also coincided with the town’s 61st founding anniversary celebration. Abarratigue recounted that when he started to serve as Mayor three years ago, Hinabangan had no doctor. His repeated pleadings for a doctor paid off when a ‘Doctor to the Barrios’ Dr. Rhee Tecson was sent to Hinabangan to serve as the Municipal Health Officer. Tecson in an earlier interview with PIA claims he is from the city but accepted the post as he feels challenged with his job as a rural health officer. Today, the young doc is one of the mayor’s favourite ally in providing health services that he devoted two pages of praises for the young physician whom the mayor mentioned literally hiked and trekked through mountains to reach the most remote barangays called Cabang and Tabay. PIA learned that it takes a half day climb through Samar’s rugged terrain to reach Tabay. Tecson, the mayor said initiated blood letting in this town and has established a blood bank in Eastern Visayas Medical Center (EVRMC), the biggest government hospital in the region. Another plus which the mayor thanked DOH was for giving them a Health Manager Ms. Steph Asence, to this he credited DTTB Coordinator Dr. Genelyn Herrera. The new Rural Health Unit, said Mayor Alex, has lab tests very useful to his poor constituents who do not have to go to Samar’s capital town nor to Tacloban city for the needed services. The RHU has also a resident medical technologist. Mayor Abarratigue also thanked the national government for the Nurses Assigned in Rural Areas (NARS) program as it gave his Hinabangan three young nurses as committed as the young DTTB Tecson in providing the best service. As DOH Regional Director Dr. Ed Gonzaga was present, Abarratigue gave recognition to the additional Botika ng Barangay allocated by DOH 8 which does not only provide cheaper medicines but gives additional income to a few Hinabangnon operators. To show how much he values his leading health service providers and the volunteers assisting the medical personnel, Abarratigue announced that he was giving additional honorarium to his 100 Barangay Health Workers (BHWs). CATBALOGAN, Samar – Catbalogan, Samar ’s capital is bracing for a case of AH1N1. The afflicted person whose identity was not divulged, is an Overseas Filipino Worker (OFW) who is on vacation and has reportedly come from Singapore. The patient, said Provincial Health Officer Dr. Dulce Cernal sought admission at the EVRMC on June 10 and it is only Tuesday, June 16, 2009 that the result was known as positive. The patient remains at the EVRMC as of presstime. Parents of students enrolled at St. Mary’s College of Catbalogan (SMCC) are panicky that the two children of the affected person may be spreading the flu as they are enrolled at the RVM sisters institution. SMCC does not answer telephone calls and the media was just given a notification dated June 16, that classes in the ‘basic education level’ has been suspended until Friday, June 19, 2009. The announcement bore the name Sr. Rachel Bernardo, RVM. From fellow media officers, PIA learned that the wife is also a public school teacher and that the family has two helpers who sought medical care from the Samar Provincial Hospital. Chief of Hospital Dr Rudolf Mabulay in a phone interview said the hospital is getting ready with a huge preparation on managing this affliction. The doc though gave advice to the public about personal hygiene, handwashing and remaining within a safe distance from those afflicted with flu. DOH Samar Representative Dr. Antonio Tirazona confirmed the case through a text message. Tirazona added that the patient’s contacts will be subjected to laboratory tests tomorrow. DOH also adviced the Samar Provincial Hospital and the Rural health Unit of Catbalogan to respond appropriately. Although the official announcement from the RVM school says suspension of classes is only until Friday, Tirazona in his text message said the suspension is for ten days. Catbalogan Muncipal Health Officer Dr. Senesia Yong has been actively tracing the patients’ contact and doing her share of close surveillance and monitoring of the contacts.